The producers of All for Julie collectively have over 100 years of experience in the entertainment industry. Each passionate about the well-being of our planet, humanity and wholesome family lives. The producers have chosen to produce the All for Julie story because they believe it will resonate with the audience similar family experiences and highlight the appreciation for our family lives. Ron Manfield is an award winning music producer. 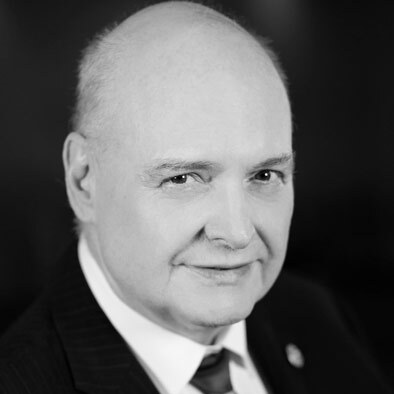 He has been in the Entertainment business for over 40 years and founded Manfield Publishing Corp. in 1978. Ron made his first professional appearance at the age of seven, playing piano on CKVL Radio in Quebec. Born and raised in Verdun, Quebec, he began writing at ten, studied music in Montreal and turned professional in his early teens. It was then that Ron went to New York City to continue to realize his creativity and to establish a sense of commitment to the entertainment industry. Maintaining a personal approach to his work, as a producer, writer and a performer, he has played his versatile repertoire on the piano lounge circuit across North America. Along the way, he met prominent artists and studio executives who provided him with his sense of dedication and desire to entertain. Jack Lenz is an acclaimed composer, producer and musical director. Throughout his prolific career he has composed music for motion pictures television, documentaries, Canadian news programs and award shows. He has also been the musical director of numerous live to broadcast events and award shows such as the CMT awards, the Gemini’s and the Genies, and has directed studio sessions in countries around the world including Canada, the U.S.A., Great Britain, Russia and Slovakia. Lenz’s passion for music, television, film and the arts has translated into a thriving business – Lenz Entertainment. Jack Lenz has received countless awards and commendations and his work is sought after by leading artists, directors and producers from around the world. In 1997, Jack teamed up with Jamie Shannon and Jason Hopley, a multi-talented puppeteer duo also known as The Grogs. Together, they launched 3 J’s Productions under the banner of Lenz Entertainment. Celebrating the spirit of Jim Henson, 3 J’s Productions is dedicated to making distinctive children’s programming that can be seen worldwide on networks including CBC, YTV, Nickelodeon, PBS, BBC and The Disney Channel. Born in Romania, Laura began singing and acting at an early age in commercials and national television. The notoriety Laura received in Romania through her modeling and musical pursuits helped her with her true passion – performing and acting. Choosing to follow this passion and pursue her acting career she moved to North America in 2002 landing multiple roles including a series of episodes for television sitcom Call me Oscar and became a successful actor on the stage. Most recently she was chosen to star and play lead roles in many films projects (known for Behind Closed Doors and Dek Webber’s Canadian produced feature film The Promise), becoming widely known to be a promising breakout star for major Hollywood films. 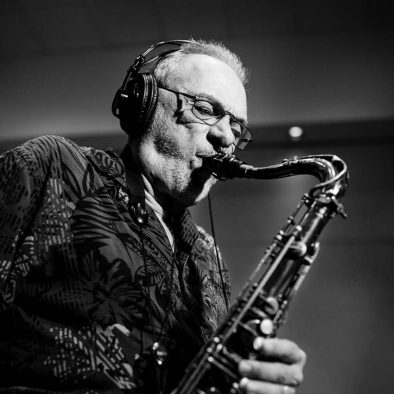 PAT LABARBERA (alto & tenor saxophonist, flutist, clarinetist, composer, jazz educator) was born in Warsaw, New York on April 7, 1944, and spent the first thirty years of his life in the United States before moving to Toronto in 1974. He studied at the famed Berklee College of Music, and soon after graduating, began to make his presence felt with the best of the American big bands. By the time he relocated to Toronto, Ontario, Canada 1974, Pat LaBarbera was already well-known for his solo work with the bands of Louis Bellson, Woody Herman, and for seven years, touring and recording as featured tenor saxophone soloist with the Buddy Rich Band throughout every major city in the U.S., Europe, and Japan. Universally considered one of the world’s most exciting saxophonists. LaBarbera has performed and recorded consistently with Elvin Jones since 1975, appearing at premier jazz festivals all over the world and has played on every major network television show including The Ed Sullivan Show and Johnny Carson’s Tonight Show several times. He has worked with the biggest entertainers in the business including Frank Sinatra, Tony Bennett, Dizzy Gillespie, Ella Fitzgerald, Chick Corea, Woody Shaw, and McCoy Tyner. Called ‘a true intellectual of improvisation’ by Justin Time Records, Pat LaBarbera has been among the key members of the Toronto jazz scene for the past three-plus decades, claiming Junos and ‘Jazz Report’ Awards for writing and performing with his own jazz ensembles all along the way. He has been on the full-time teaching faculty at Humber College for the past several years instructing on Saxophone, Ensemble Performance, Jazz Repertoire Development, and Advanced Jazz Theory and Performance Practice, while continuing to write, perform, and record with his own trios and quartets. His album, Deep in a Dream, won the 2000 Juno Award for Best Mainstream Jazz Album. 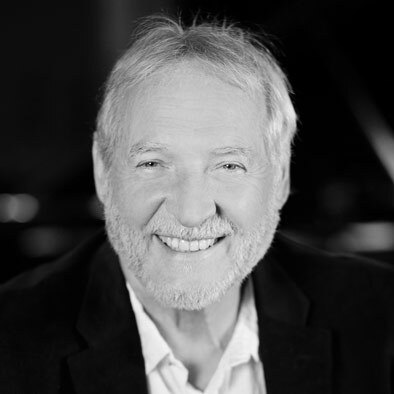 His album, Crossing the Line, features pianist Brian Dickinson and bassist Neil Swainson, as well as special guests trumpeter Randy Brecker and drummer Joe LaBarbera. In 2013, Pat and pianist Don Thompson released A Little SImple Magic, a duo recording featuring twelve standards.